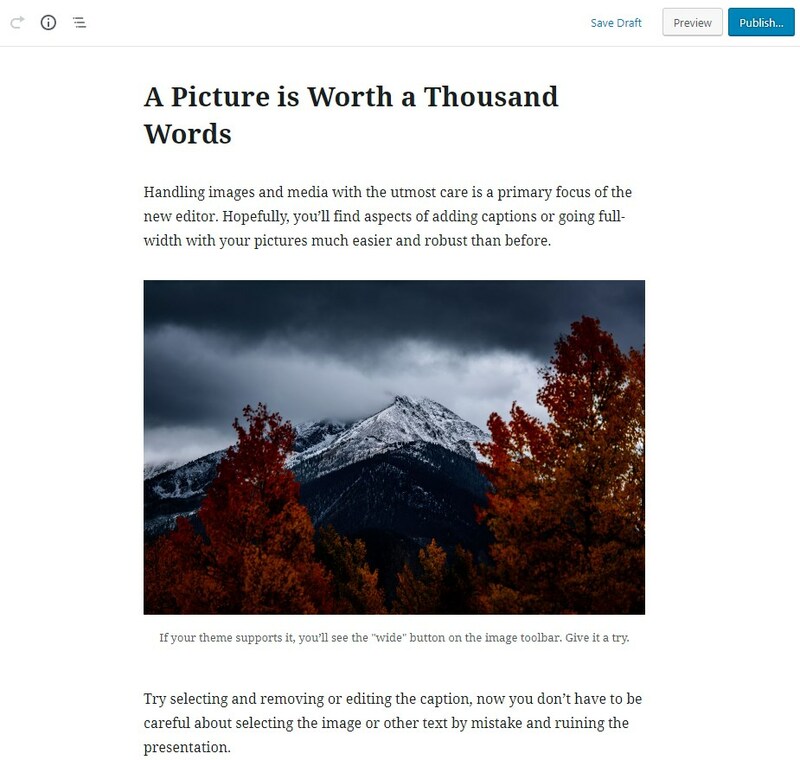 What is Gutenberg WordPress Editor? 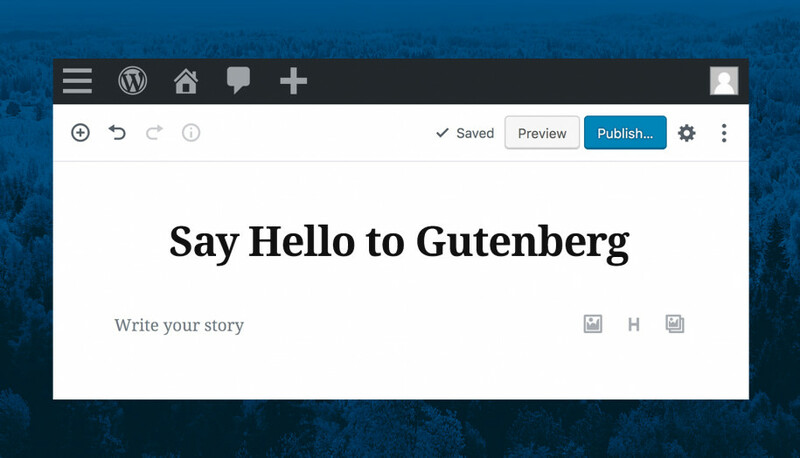 Gutenberg is a new WordPress editor that allows processing page content as blocks of different types. 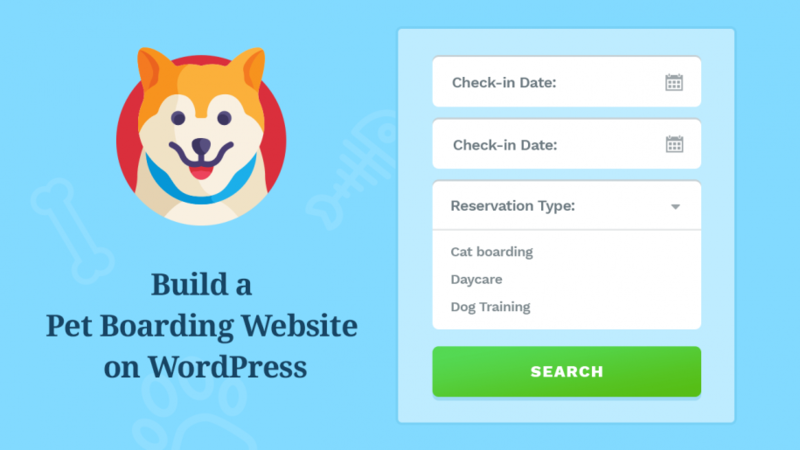 Before the WordPress 5.0 roll out on December 6, Gutenberg was available for download and testing as a free plugin that could be found in the official WP.org repository. 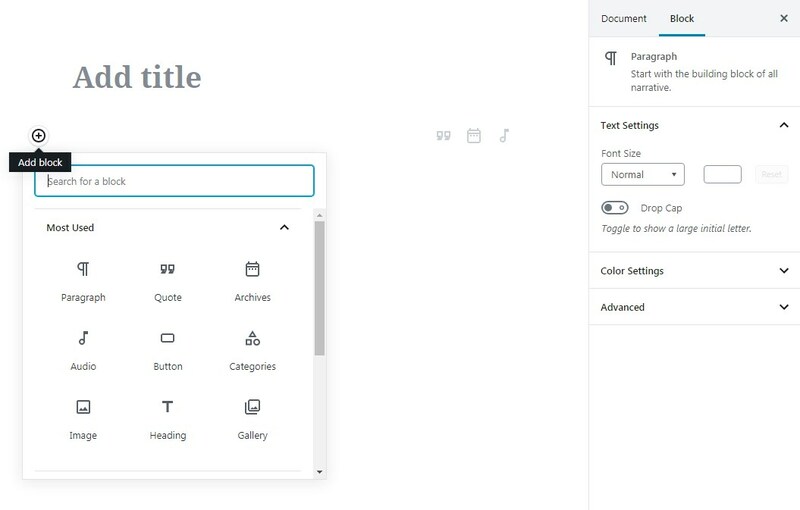 In WordPress 5.0, the familiar Visual editor (TinyMCE) was replaced with Gutenberg, which has become the only available editor on default. 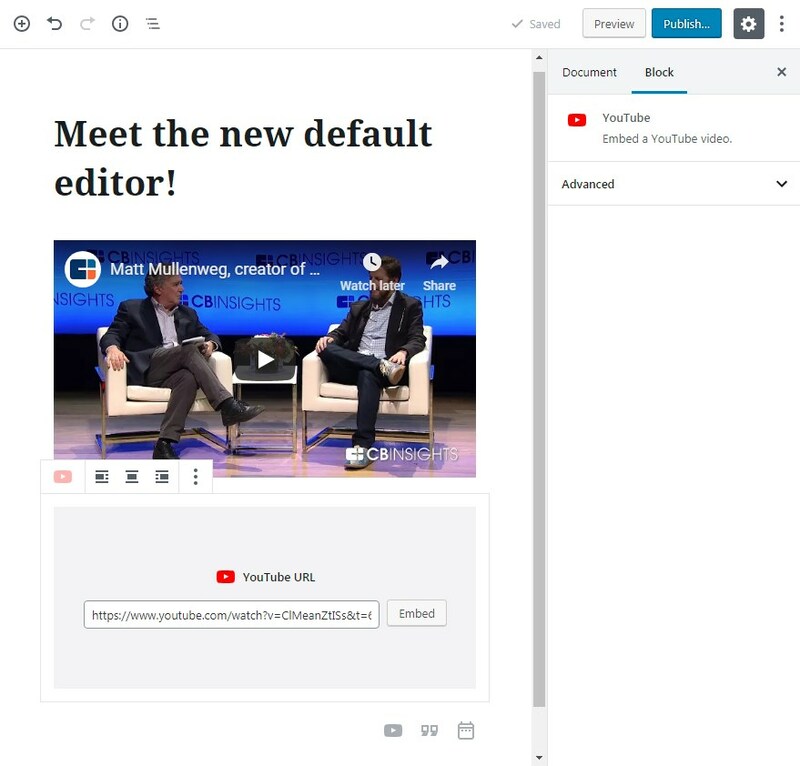 WP users will, however, still have a chance to create post and pages with the previous Visual editor by installing free Classic Editor plugin. 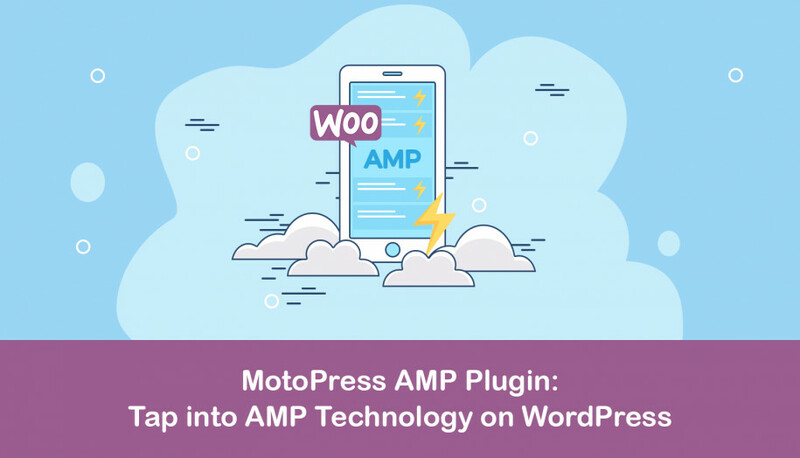 The plugin was announced to be officially supported until December 31, 2021. 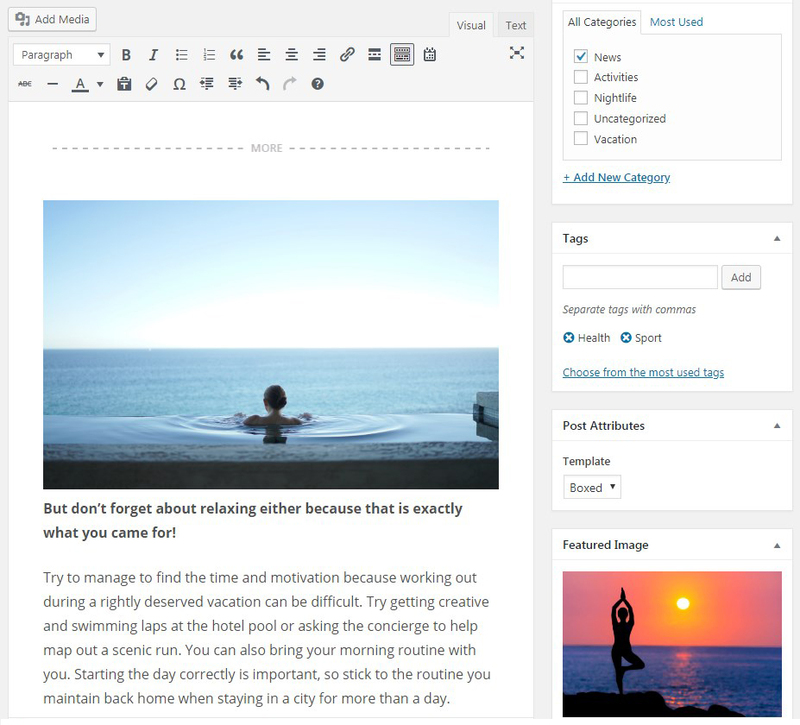 In other words, the new WordPress block editor is aimed at more user-friendly visual management of website content. 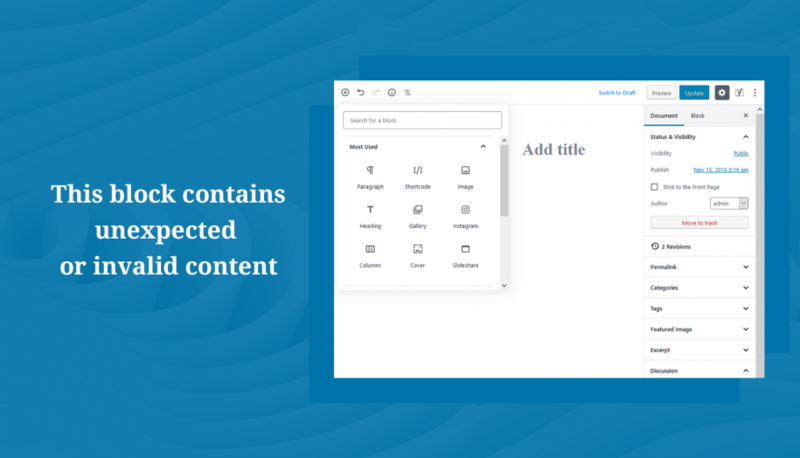 To add any content element to your website (whether that be a simple text, image, gallery, quote, list, or even a YouTube video), you will now have to solely create a new “empty” block of respective type and fill it with your own content. Let’s take a simple example: the previous Visual (TinyMCE) editor allowed adding buttons through manual coding or via installing a dedicated plugin only. This explains and proves Gutenberg’s orientation on efficient and user-friendly handling of rich content. Developers will be able to create their own content block types to expand the default functionality. Read the introductory guide from the official Gutenberg Handbook to learn more. 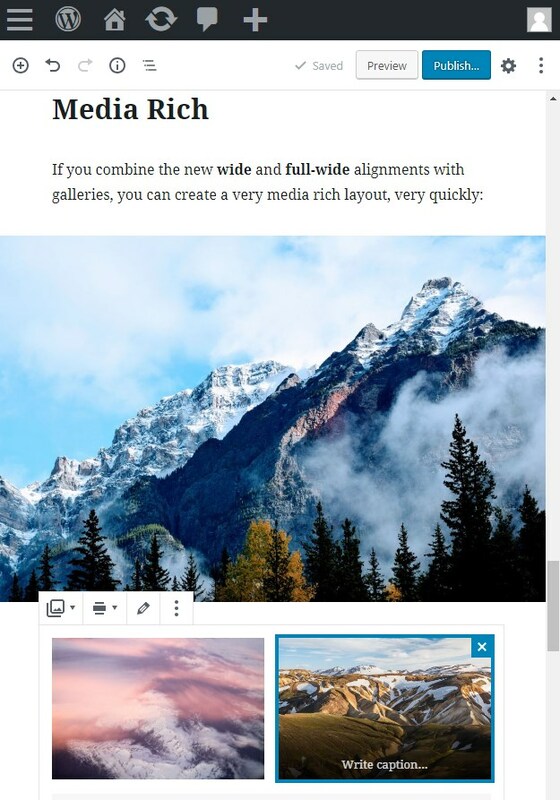 Gutenberg has adaptive design, which means it allows basic editing of pages and posts even on small screens. Paste a piece of HTML code to a respective block and preview the result live. Insert content from more than 30+ external websites like YouTube, Instagram or SoundCloud simply by pasting URL. You don’t need widgets anymore to have these elements added to a page. Support for seamless copy and paste from Google Docs, MS Word, Office 365 or any web pages. 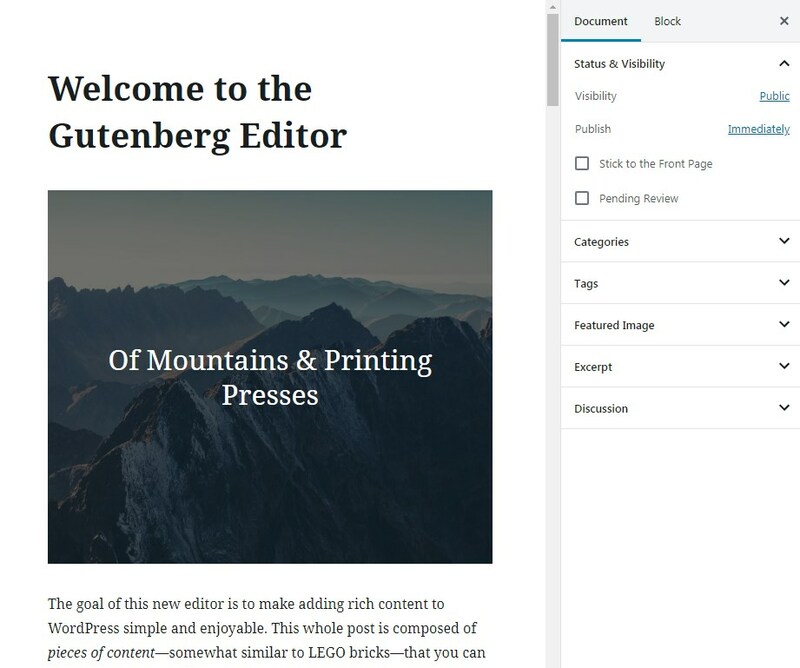 The positive feedback and benefits of Gutenberg are obvious, however, some of the users are concerned about the new editor’s compatibility with the already existing plugins and themes. The team of Gutenberg developers is, of course, fully aware of challenges of the transition period. Great community of contributors and volunteers, headed by Matt Mullenweg, has been working on Gutenberg creation and improvement for more than 1,5 year. More than 700,000 websites are already actively using the ‘test’ Gutenberg plugin. 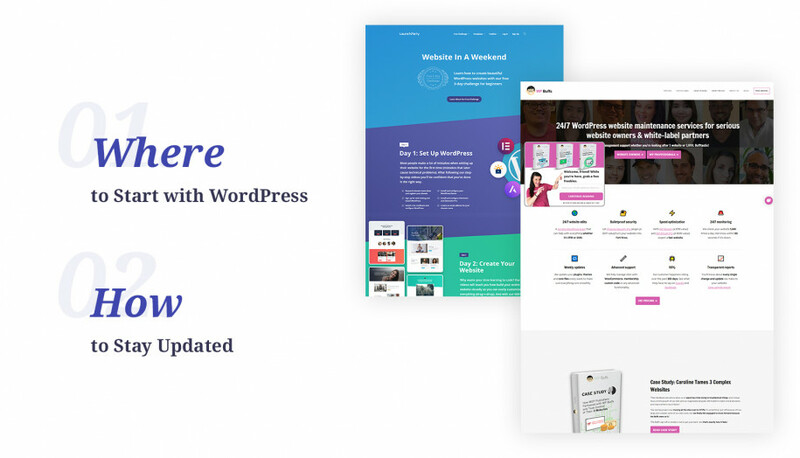 Matt Mullenweg has also once stated that “the number of issues and the time it would take to fix them would determine the final release date for WordPress 5.0”, which means that WordPress with the new default editor in the core was rolled out only after the major bugs were fixed. This gives us a good reason to expect the Gutenberg authors have had enough time and resources to inspect and resolve as many compatibility issues as possible. On top of that, many Gutenberg-compatible themes and Gutenberg integration extensions for some popular plugins are already available and many more are yet to come. In conclusion, let’s consider the opinion of Andrew Roberts, the founder of TinyMCE. Andrew supports and cooperates with Gutenberg project and in one of his articles states that Gutenberg may not handle the familiar means of content management (e.g., shortcodes or custom post types) in the way we are used to, however, the new editor brings fresh and more user-friendly functionality that not only fully replaces the previous tools but offers even more extended (and easy-to-use!) options as well.